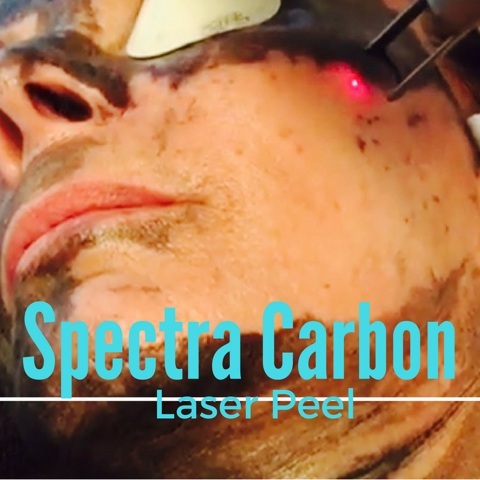 Spectra™ Carbon Laser in Toronto – the most talked about treatment? What happens during a Spectra™ treatment? 1. Skin is thoroughly cleansed. 2. A thin layer of Carbon lotion is applied over the entire treatment area. 3. Once the lotion dries and particles have had a chance to set into the skin, the technician will use a Spectra™ Q-switched 1064 laser to vaporize the lotion and heat up the outermost layers of the skin. 4. You will experience a warming sensation as the lotion is being absorbed by the laser. 5. You’ll immediately see a more youthful you! Painless, with no downtime, Spectra™ makes your skin smoother and brighter. Unlike chemical peels, there is no delayed exfoliation or shedding process. You don’t have to be a movie star to treat yourself to younger-looking, brighter skin. Take advantage of this wonderful new technology and painlessly achieve visible improvement to your skin. 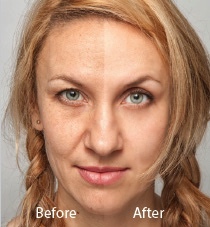 Schedule a free consultation for Spectra™ Carbon Laser Peel in Toronto today!